Pressure-treated wood is made using a high pressure process, which forces various inorganic preservatives deep into the core of the wood. This process saturates the wood and generally causes it to retain a high level of moisture. Newly purchased pressure-treated wood has varying degrees of moisture, depending on how long it has been sitting at the lumber yard or home improvement store. Wood that is too wet remains difficult to paint because the paint doesn't adhere well to the wood. Before painting, test the wood for moisture. Inspect the wood for mildew, mold or algae growth, which can easily grow on newly treated wood and must be removed before painting. If none exists, skip to Step 2. 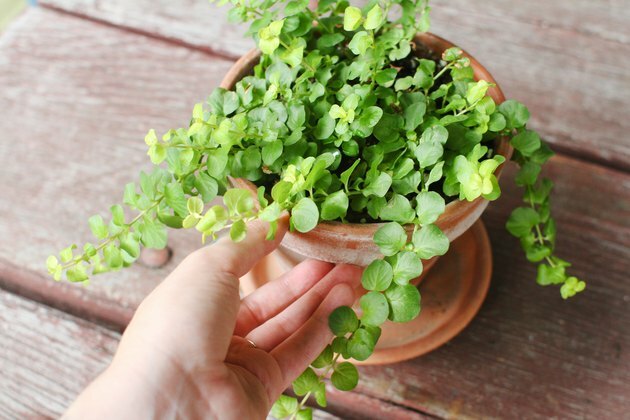 Otherwise, cover any nearby plants, bushes and grass surrounding the area, and other items near the wood. Mix 1 part chlorine bleach to 2 parts water in a large bucket. 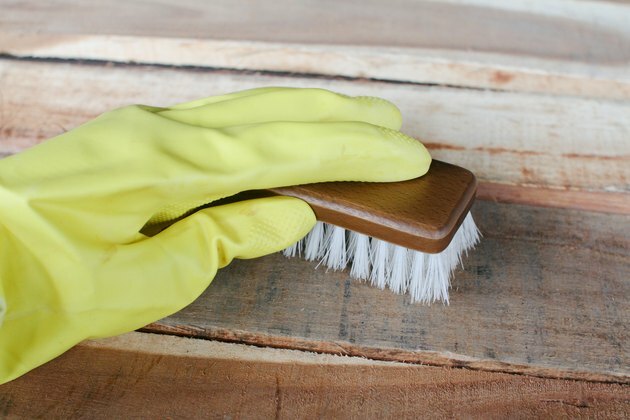 Put on rubber gloves and scrub the wood down with a scrub brush. Allow the wood to dry for 30 to 60 days. Test the wood to see if it is wet or dry. 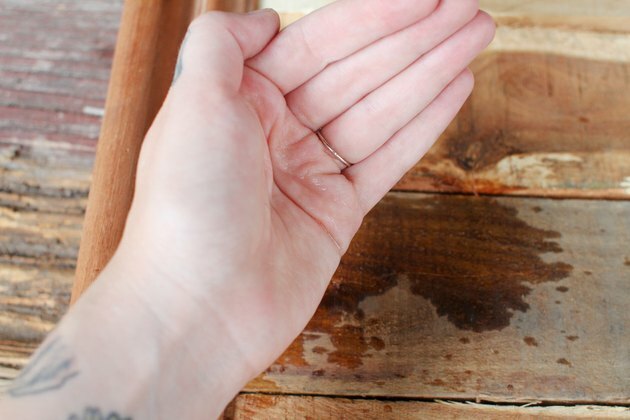 To do this, sprinkle water on the wood. 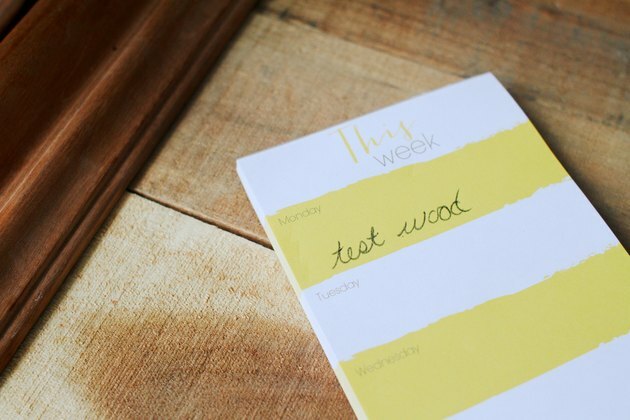 If, after a minute, the water has absorbed into the wood, it is dry enough to paint and you can skip to Section 2. If the water beads up, the moisture level of the wood is too high. Wait a couple of weeks and test the wood again. 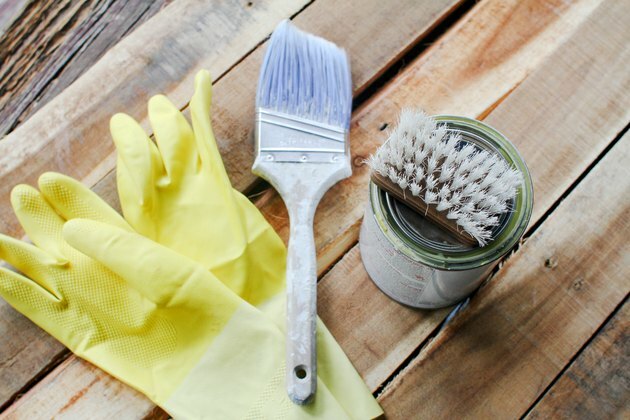 Depending on the air temperature and humidity levels in your area, the wood may take several weeks or even months before it is dry enough to paint. Prepare the work area. 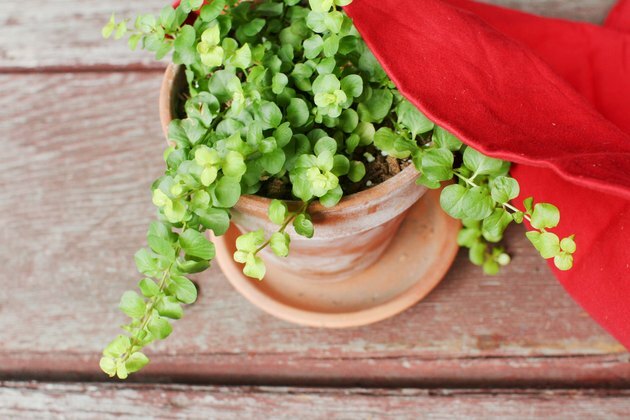 Remove all loose objects; cover nearby plants and bushes, the grass surrounding the area and any other items you don't want exposed to the paint. Stir the can of primer. Pour it into a paint tray and roll it onto the wood. Work in small sections, loading up your roller often and going with the grain of the wood. 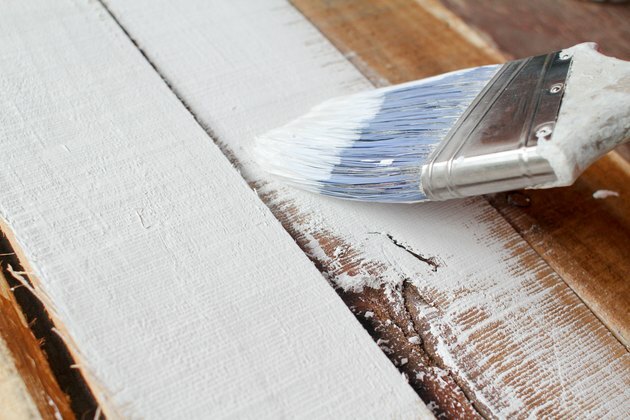 Use a paintbrush to apply primer to the ends of the boards and to areas the roller can't get to. Allow the primer to thoroughly dry. Open the can of latex paint. Stir it and pour it into a paint tray. Use the same technique to apply one coat of paint with your roller and brush. 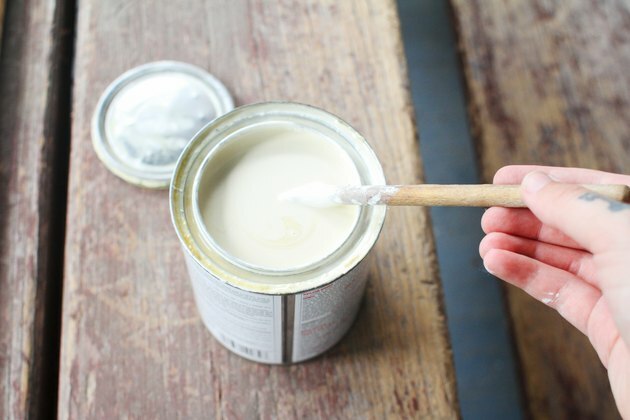 Allow the paint to thoroughly dry, and then apply a second coat. Remove the protective plastic sheeting and replace the objects.